The Clifton 10449 is a stylish power reserve watch with a dynamic design and driven by flawless Swiss-made mechanical movement. 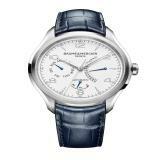 The white dial features Arabic numerals and the retrograde date and days of the week functions with blued steel hands. 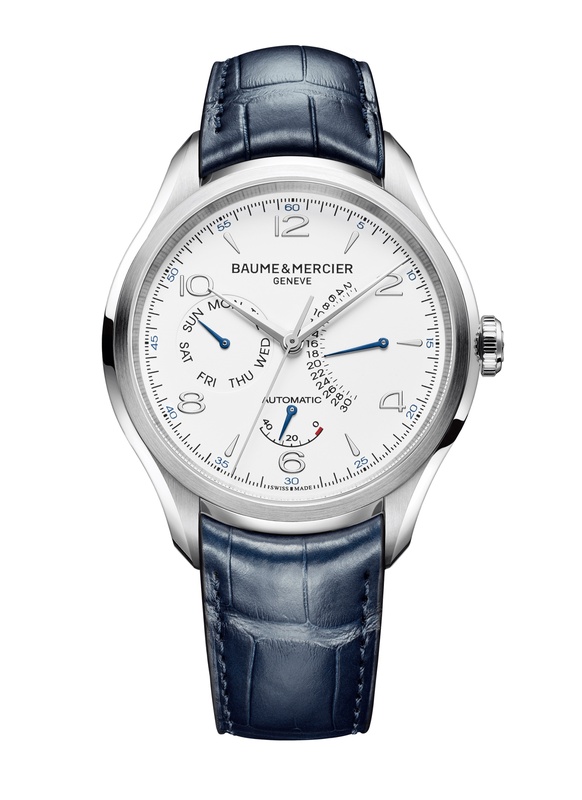 The watch’s steel case and bezel have a sleek polished finish, while the glossy blue alligator strap adds to the modern elegance of this luxury gentleman’s timepiece.